Analyzing Bond's motives in the history of Bond films - have they changed? Is there room for a 21st Century Bond? How does James Bond novel Devil May Care by Sebastian Faulks stand up as a direct sequel to Man with the Golden Gun by Ian Fleming? Is Never Say Never part of Bond canon? 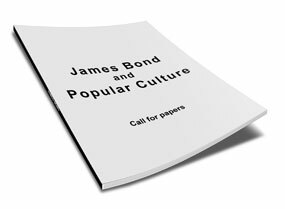 ANY IDEA or TOPIC relating to Bond will be considered. There are no honorariums for presenters; this is an academic conference. There are however, a number of conference award opportunities. See the conference website for more information. Participant conference registration deadline is December 31, 2011.